The super-cool Porsche Museum is home to 80 significant vehicles, including the mouth-watering 356, 550, 911, and 917 models. What makes this museum different is that the display of cars is always changing. Many of the historic cars are in such magnificent condition that they can be sent out to compete in historic motorsport events around the world. Other must-sees for enthusiasts include the Mercedes-Benz Classic Center in Fellbach, just outside Stuttgart. Here, expert mechanics work on highly-prized Benz, Daimler, Mercedes, and Mercedes-Benz vehicles owned by enthusiasts. And for historians, the Gottlieb Daimler Workshop still has Daimler's tool bench and forge � in the greenhouse where he worked back in the 1880s. No other city in the world can match the quality of Stuttgart�s two motor museums. The Mercedes-Benz Museum spells out the social history of the automobile in its distinctive building, with a �double-helix� design. On the nine levels are legendary cars such as the Silver Arrows and celebrity cars, from the Sultan of Morocco's 1892 Daimler to Princess Diana�s 1991 500SL. 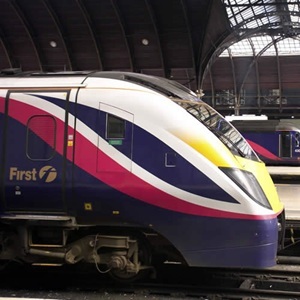 Train travel is the easiest and most flexible way to get around the UK. BritRail is offered exclusively to overseas customers making it the cheapest and most convenient option available. The BritRail GB Flexi Pass offers unlimited travel for 3, 4, 8 or 15 days within a 2 month time period. They do not need to run consecutively - you can pick and choose your days of travel to suit your itinerary. Coverage: any scheduled train across the whole of England, Scotland and Wales. Please note: BritRail passes are not available for UK residents. Save over 30% � for travel in 2013, buy a BritRail GB Flexi 4 day or 8 day Pass before 27 August 2012 for a FREE FIRST CLASS UPGRADE!